For the most part, carriers can't block you from wanting to unlock your iPhone from their service, but jailbreaking is a whole different beast. Apple can rightfully strip you of your warranty and deny any requested service under AppleCare or even under non-AppleCare repairs if they find out you've jailbroken the device — jailbreaking is a violation of the iOS end-user software license agreement. As great as iPhones are with regards to its reliable system and overall durability, times will arise that'll necessitate a visit to an Apple Store for servicing. And if you bring in a device that's jailbroken, you'll be turned away faster than peanut butter in an allergy conference. There are steps you can take (i.e., un-jailbreaking) to ensure you receive proper assistance from the Genius Bar in the event of an emergency. Killing your jailbreak can also help bring stability back if you think the jailbreak is causing issues. Before restoring to an un-jailbroken state, you'll first need to backup all your files either through iTunes or iCloud as per your preferences. We can't stress this enough — all the methods listed below will not only take off the jailbreak but completely wipe your device and restore it to stock configuration. 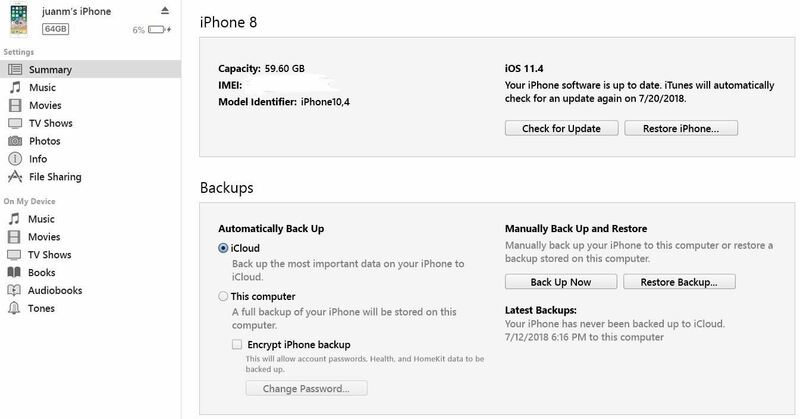 It's also worth noting that the last three methods mentioned will update your device to the latest firmware. Also, make sure that your battery is sufficiently charged with at least 70% capacity before attempting to restore your device to factory settings. Restoring your iPhone can be a time-consuming process and having it shut off prematurely in the midst of resetting can spell disaster to your precious device. 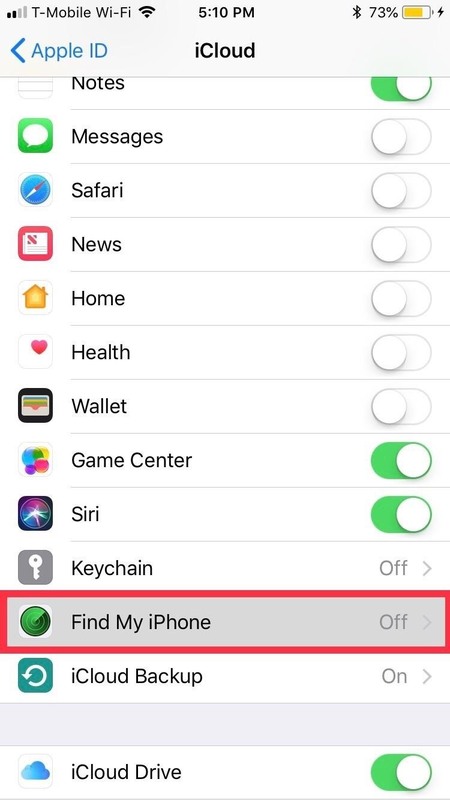 Finally, before attempting any of the methods we've highlighted below, we recommend disabling "Find My iPhone" first instead of doing so when prompted to streamline the process and stave off any potential hiccups it may cause. To do so, open "Settings," tap your name, then select "iCloud." (For iOS 10.2 and under, just select "iCloud" from Settings.) Scroll down, tap "Find My iPhone," then disable the toggle for "Find My iPhone." You'll be prompted to enter your Apple ID password, so input your credentials to turn the feature off. This first method involves restoring your iPhone by way of a Cydia app. 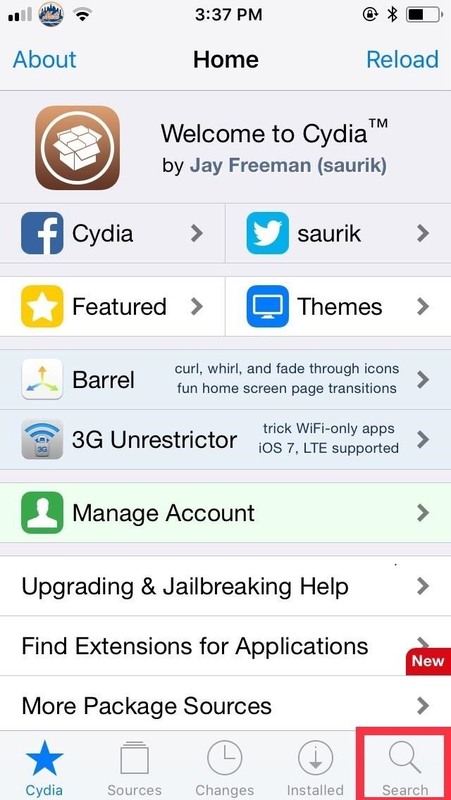 The tweak, Rollectra, can be installed directly from Cydia without the need to install an external repo. While this has the obvious benefit of not having to connect to iTunes and update your firmware, the app will only work on certain iOS versions. 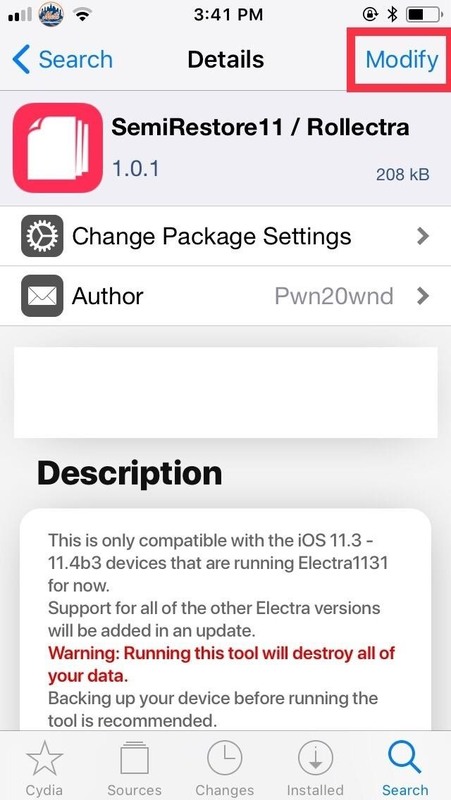 Rollectra will only work on jailbroken devices that are on iOS 11.3 through 11.4 beta 3, so if you're on a firmware outside of those, Cydia will automatically prevent you from installing the app. If you're device is compatible and you want to go back to factory settings, open Cydia, then tap on the magnifying glass icon in the lower right. 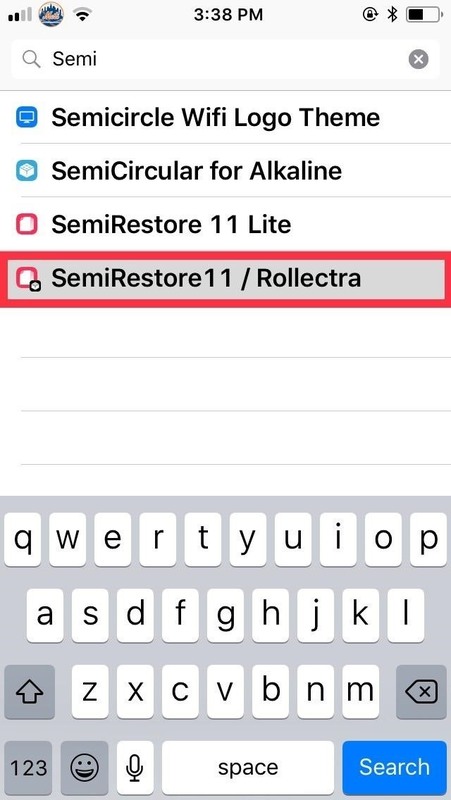 Input "semirestore11/rollectra" on the search bar, and select it from the list of results generated. Tap on "Modify" in the upper right of Details to begin the installation. Tap "Install" from the prompt that appears at the bottom, then follow along to confirm and finalize its installation. Hit "Restart Springboard" once it's complete. Once your device resprings, go into Airplane Mode to cut off communication and streamline the process, then open Rollectra. From there, simply tap on "Unjailbreak," then "Erase All" on the prompt, to remove your jailbreak. The app will now proceed to reset your device, so sit back and wait for the process to complete. Note that if your device appears to freeze up at any time while restoring, give it a minute or two and check for movement within the bar under the Apple logo. Perform a force restart if no movement is detected to jump-start the process. After a few minutes, your device will boot up and enter the welcome/activation screen. 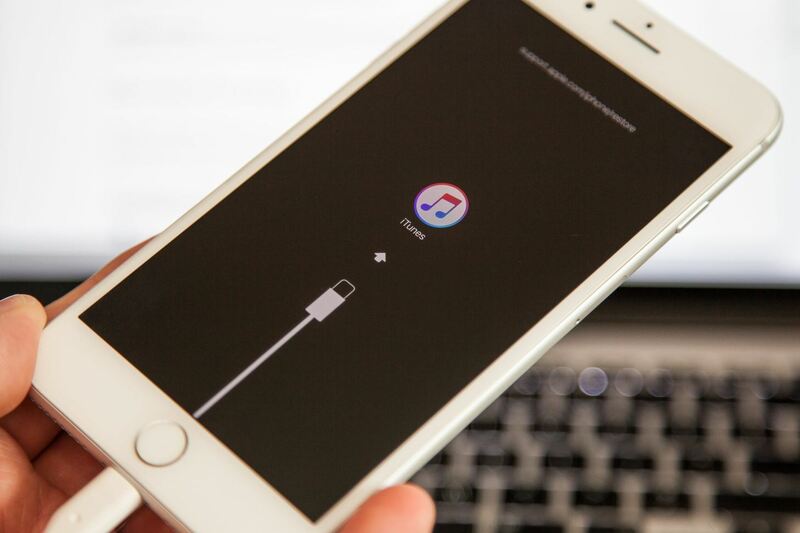 Restoring your iPhone using iTunes is by far the easiest way to remove its jailbreak. Connect your iPhone to your computer, then launch iTunes if it doesn't open automatically. 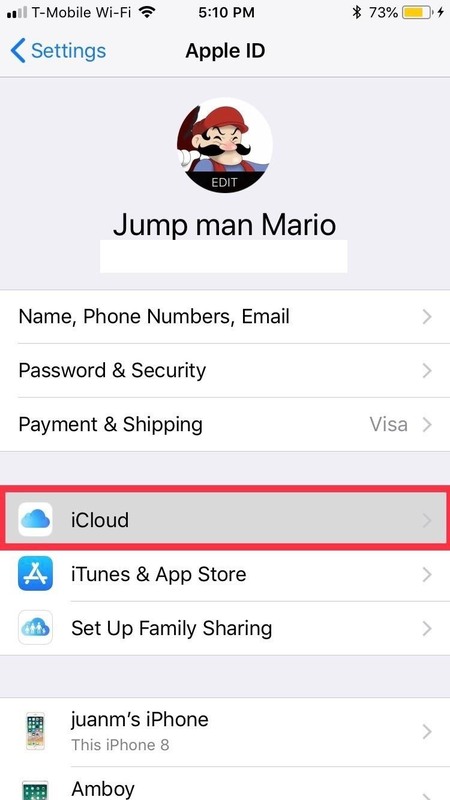 Once your device has successfully connected to iTunes, click on the iPhone icon in the top-left corner to go to your device's summary page. Now, hit the "Restore iPhone" button within the "Summary" tab, and follow the prompts that appear. Your device will now go through the motions of reverting back to stock, so just wait for the process to complete. Once complete, your device will automatically boot up on the activation screen. Unfortunately, restoring your iPhone to a non-jailbroken state using the regular iTunes method covered above is far from bulletproof and sometimes will fail to restore your device due to various errors. So if want to avoid this potential problem altogether, you have the option of putting your device in recovery mode to help ensure a painless procedure. iPhone X, 8, or 8 Plus: Quickly press the Volume Up button, then the Volume Down button. Next, press and hold the Side button until the "iTunes" screen appears. iPhone 7 or 7 Plus: Simultaneously press and hold both the Sleep/Wake and Volume Down buttons until the "iTunes" screen appears. iPhone 6S or older: Press and hold both the Sleep/Wake and Home buttons at the same time until the "iTunes" screen appears. From there, follow the prompts on iTunes by first clicking on "Restore." A final confirmation box will follow, so hit "Restore and Update" to start erasing your iPhone and installing it back to factory settings on the latest iOS firmware version available. If all else fails, you still have the option of restoring your iPhone by putting it into DFU for a clean restore of your device. Device Firmware Upgrade mode, or DFU mode, for short, is the last resort you can take to restore your device to factory settings in the event that it becomes bricked due to a faulty restore or another unforeseen mishap. Press-and-hold the Side button until the screen goes black. Quickly press-and-hold both the Side and Volume Down buttons together for 5 seconds. Press-and-hold on both the Volume Down and Sleep/Wake buttons until the screen goes black. Press-and-hold on the Sleep/Wake button for three seconds. Press-and-hold on the Volume Down button without letting go of the Sleep/Wake button. Keep holding both buttons for 10 seconds, then let go of only the Sleep/Wake button. Press-and-hold on both the Sleep/Wake and Home buttons until the screen goes black. Press-and-hold on the Home button without letting go of the Sleep/Wake button. Continue holding down the Home button for at least 5 seconds. Once you've successfully booted up your iPhone into DFU mode, you can hit "OK" to close the iTunes recovery prompt and proceed to restore it back to factory settings by selecting "Restore iPhone" under iPhone Recovery Mode inside iTunes. 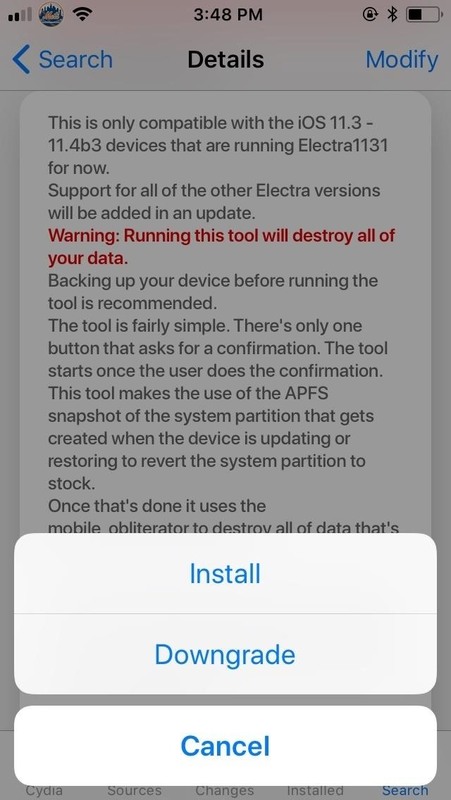 Your device will automatically exit out of DFU mode and boot up to its initial activation screen after the restore process is completed. Once the official version of iOS is restored on your iPhone, you're free to head to an Apple Store and get Genius Bar support or make warranty claims, if that's why you did this. General diagnostics from the Genius Bar can detect "unauthorized software" on a device that is jailbroken, but won't be able to detect anything abnormal on a device that was previously jailbroken. Just be sure not to let the fact that you once had a jailbreak installed slip out of your mouth. You don't have to restore to unjailbreak. Follow the instructions in my blog. It's way quicker. My jailbroken iPhone in io 7.1.2 and I wanted to unjailbreak mine, could you pls tell me how? but btw I'm upgrading the ios to 8.2 if I'm not mistaken. but idk is it work or not. bcs there's no notif on my phone when ios 8 is available. I got the notif in itunes on my computer. 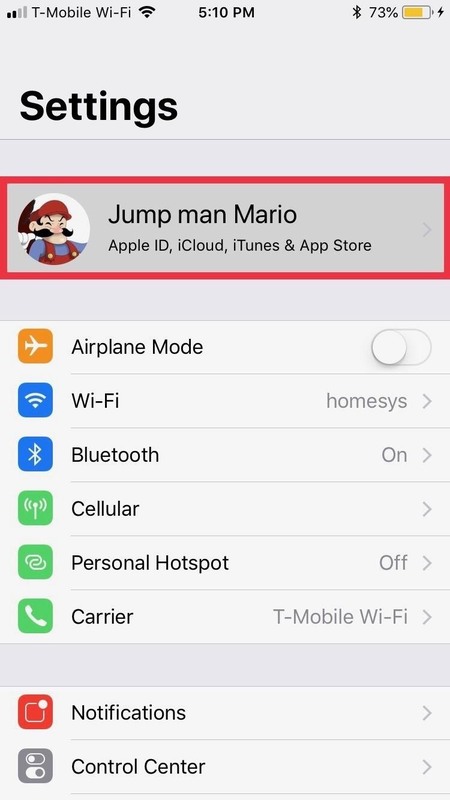 tweak/ app is still their? i jailbroke my device about 6 months ago and have scowered the blogasphere to figure out how to restore my device to its pre jailbreak condition and functionality and haven't been able to find any assistance at all. I started posting requests over a month ago and have made at least 15 requests at as many different forums and haven't received a single response. I successfully jailbroke my divice, then accidently deleted cydia. This is a company owned divice, and has to be turned back in for mandantory security app upgrades and installations. I have been stalling to try to find a way to restore it. if they find i have jailbroken it it could mena my job. I have tried connecting it to itunes and doing the DFU restore, and all simular methods, going through device menue to restore to factory defaults, reinstalling the pangu jailbreak then restoreing. none of it works. 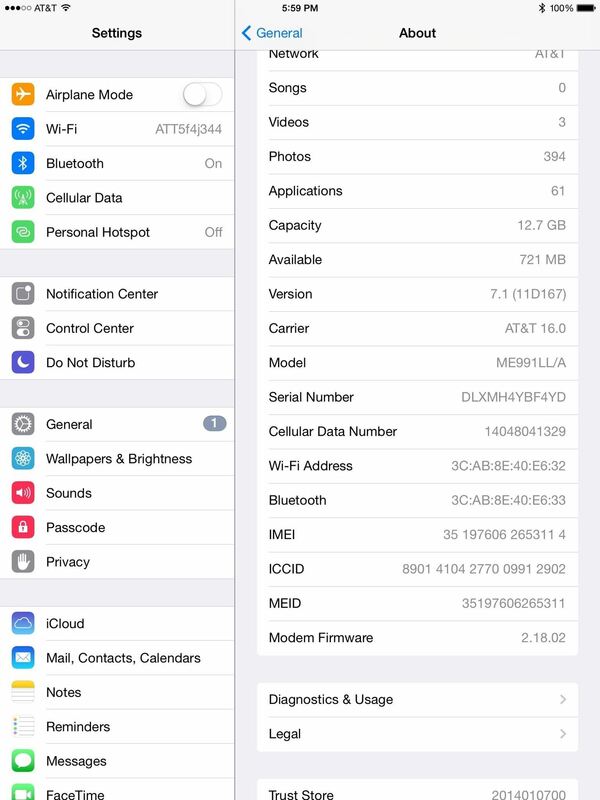 the device is still fully functional as of its state at the time of jailbreak, but no apps can be installed or upgraded, and the ios over air upgrade cant be done. can someone please instruct some method that might work. Im desperate and running out of time. Hey how we can have the previous IOS version back like we have the 8.4 and we restore iphone so we'll get the latest IOS version but we need that 8.4 version back can you please help me i am fully trapped? How I can unjailbreak my iPad 2 and update? How can I find the Wi-Fi password ,im connected but forgot password and cant log in with laptop ?